We have arrived in South America, and almost at once the Andes have greeted us. 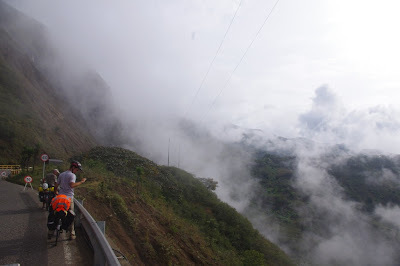 Our journey through Colombia and Ecuador will be primarily through these glorious mountains, and our spirits, bodies and bicycles are sure to be tested. But the scenery and the riding, thus far, is among the best of the entire trip... We are loving South America!